Mitsubishi's teaser photo shows forward-slanted C-pillar, highly chamfered contours with a wedge-shaped belt line. 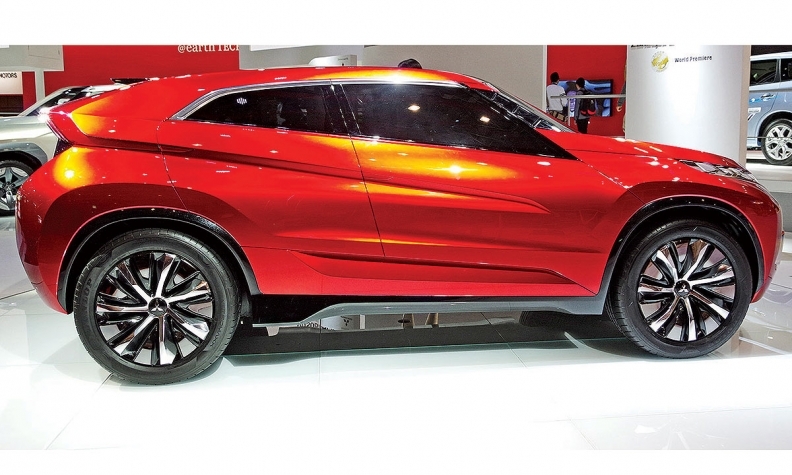 Mitsubishi aims to benefit from the SUV/crossover boom by adding a sporty, coupe-styled SUV. The model will be a rival to compact SUVs such as the Nissan Qashqai. It will line up between the Outlander and ASX SUVs, Mitsubishi said in a statement. The SUV will be larger than the ASX and smaller than the Outlander. Mitsubishi said the vehicle will introduce "a whole new audience" to the brand. The automaker released a teaser image of the SUV ahead of its debut at the Geneva auto show next month. The SUV shares several styling details, including its coupe shape, with the XR-PHEV concept first shown at the 2013 Tokyo auto show. The design is a departure from the boxier forms of the Outlander and the ASX. The XR-PHEV concept, shown, revealed some styling details of Mitsubishi's new model. 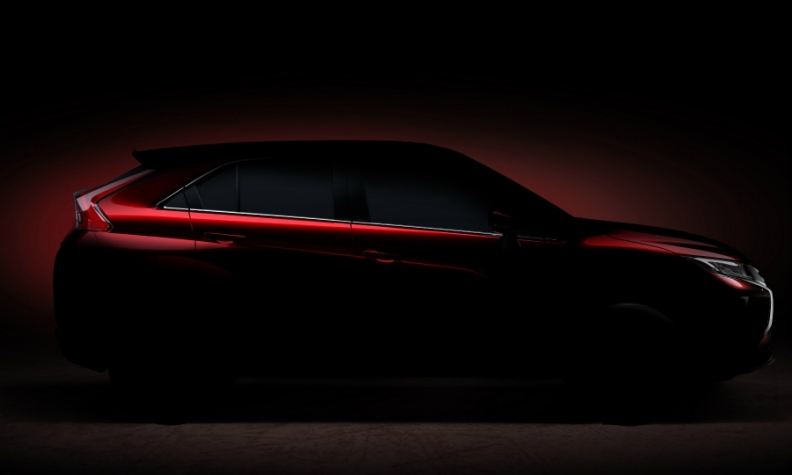 Mitsubishi did not disclose the SUV's name, launch date or technical details ahead of its March 7 unveiling. Reports said it likely will be called the Eclipse.